Craft beer and food pairings are arguably the most versatile and challenging pairing menus today. Where wine and spirits cannot go, craft beer paves the way to harmonious interactions on the palate. Craft beer has no equivalent of the “white wine with delicate flavors, red wine with bold flavors” rule. Pairing craft beer to food simply comes down to tasting beer and then deciding which characteristics in the craft beer should best be highlighted by the food. 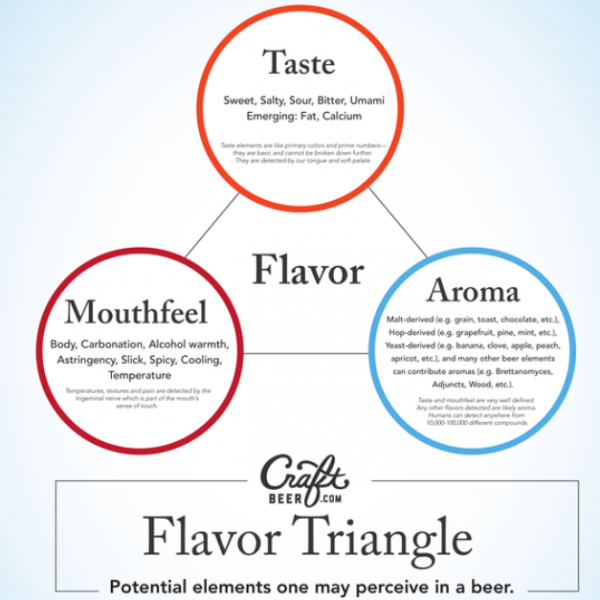 The CraftBeer.com Flavor Triangle helps you evaluate the characteristics of a beer and how they relate to one another to create your overall perception.